The Coat Of Arms Of The Vikings. Coat Of Valhalla. The Emblem.. Royalty Free Cliparts, Vectors, And Stock Illustration. Image 59766744. Vector - The coat of arms of the Vikings. Coat of Valhalla. The emblem with skull Viking in a horned helmet, ax, sword and shield. 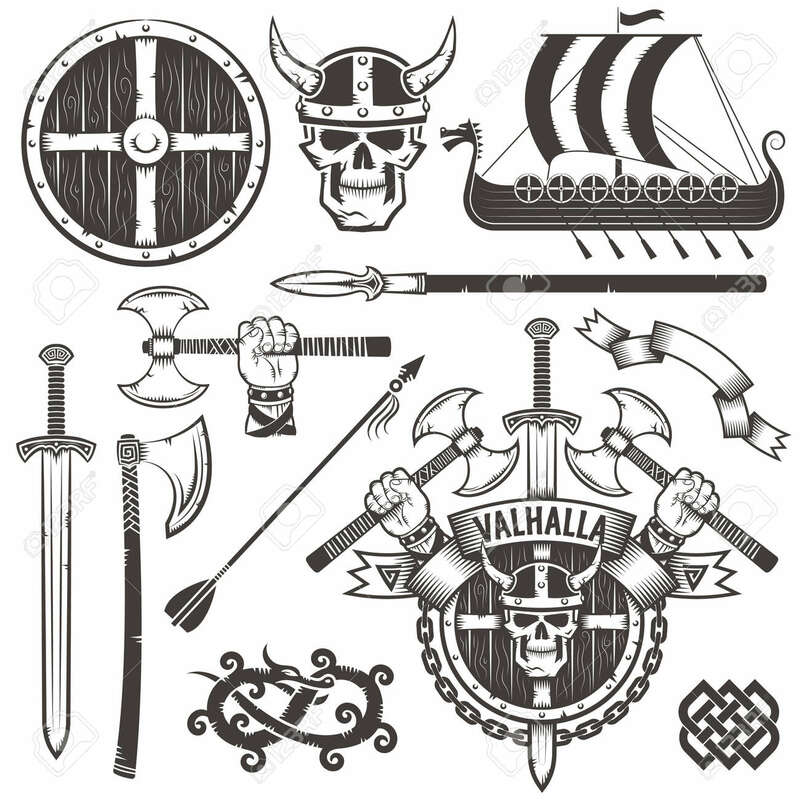 Set Viking items. Drakkar. The hand with an ax. The coat of arms of the Vikings. Coat of Valhalla. The emblem with skull Viking in a horned helmet, ax, sword and shield. Set Viking items. Drakkar. The hand with an ax.